Endorphina online slots keep releasing new titles on a constant basis, and Sparkling Fresh casino slot game is one of the latest ones. This time, the theme is about fruit sodas, and both the graphical quality and the art style represent this beautifully. They may be simple, but the game looks amazingly “cute”. Sparkling Fresh online slot game by Endorphina belongs to the fruit slot category, it almost has no features to speak of. But it has an easy gameplay, satisfying rewards and an interesting betting system. The game contains 5 reels, 3 slots and 5 pay lines. The symbols of the game consist of stylistic fruit pictures, as you can guess by the theme. There are seven in total, and it is possible to see almost all of the fruits. Although, the most valued symbol is the purple 7: it pays up to 5.000 coins. The rest of the symbols have a payout range of 5 to 500 coins. You need to land at least two of the same symbols on a pay line to get paid, but the more the better. There are no wild symbols, bonus rounds and multipliers in the game, as we mentioned above. But we do have a scatter symbol: it looks like a star. Although, it doesn’t award free spins, scatter symbol is used for coin rewards. Despite the other symbols, scatters pay up to 250 coins wherever they land on reels. After each winning combination, you are offered with a “risk game”. If you choose to accept it, a mini card game starts. The goal is to find the higher card than the current one, and it is possible to double your winnings during this round. This mini game continues as long as you pick the correct cards. The game has a betting range of 1 to 100 coins, and the maximum bet value is 500 coins. These values are a little higher than the other fruit slot games, but you are getting 1.000.000 credits in the free slots no download version. In other words, you can play as long as you want, for free. 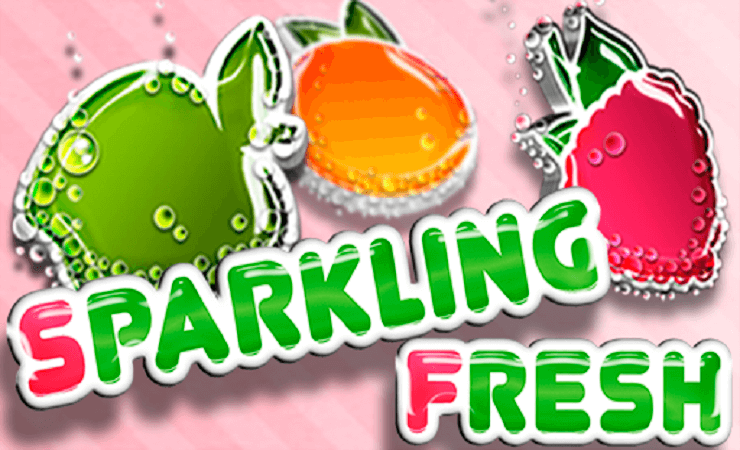 If you like to play casino slots online and looking for a classic slot game, Sparkling Fresh will be a good option. Play at Casino Avenue to find more fruit slot games!